In its half-yearly assessment of corporate mergers and acquisitions, or M&A, EY found that only 46 percent of executives are planning a takeover in the next 12 months. That’s down 10 percentage points from a year ago and marks the lowest level in four years. EY highlighted the dispute between the U.S. and China and uncertainty over Britain’s looming exit from the European Union as key reasons behind the decline in executives’ interest in deals. The former has already led to an increase in tariffs, while Brexit could still yet, especially if Britain does not secure a deal with the EU over future relations ahead of next March’s departure. Higher tariffs have the potential to weigh on global growth, especially if countries retaliate against each other in a vicious cycle. In a separate report Monday, ING Bank said it expects trade growth to almost halve in 2018, to 2.6 percent, and to drop to 1.3 percent in 2019, the lowest level since the trade collapse of 2009. It said rising protectionism is one key reason behind the slowdown. The slowdown is evident in China, where authorities are are already trying to mitigate the economic impact of the tariff fight with U.S. President Donald Trump. Over the weekend, Beijing announced it was injecting money into its cooling economy by reducing bank reserve levels. EY also found that many of the upcoming deals that are being considered are in places where trade uncertainties are highest, as the executives try to pre-empt a potential change in the legal landscape. Britain, for example, is now the number two destination for deals, up from fifth in April. 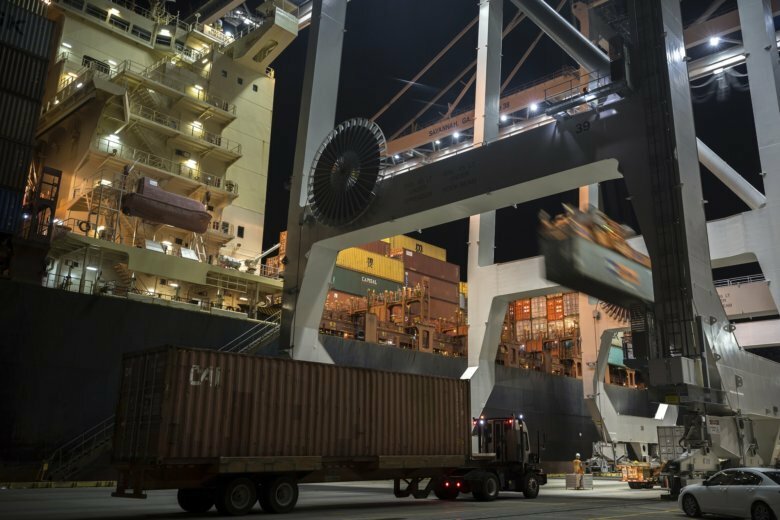 “Many companies are looking to M&A to mitigate the potential impact of trade and tariff policies, secure market access and protect supply chains,” Krouskos said. Though EY noted a decline in appetite for deals, it said the overall outlook remains positive, with 90 percent of executives expecting the global M&A market to improve in the next 12 months and a similar amount believing global economic growth prospects are improving. “This is likely to be just a pause, not a complete stop,” Krouskos said. Krouskos said companies are likely to use the upcoming period to bed in deals undertaken over the past 12 months and that 2018 will remain one of the biggest-ever for the number of M&A deals. This year has seen a number of mega deals including Comcast’s capture of British satellite television company Sky in a rare auction for around $40 billion and Disney’s agreement to buy Twenty-First Century Fox’s entertainment assets for $71 billion. German pharmaceutical firm Bayer closed its $63 billion acquisition of U.S. seed and weed-killer maker Monsanto. EY’s survey was based on responses from more than 2,600 executives across 45 countries.